Additional support is provided by the William Randolph Hearst Foundation, Beatrice Stern, the Diane W. and James E. Burke Fund, the Gail and Parker Gilbert Fund, The Florence Gould Foundation, The Danny Kaye and Sylvia Fine Kaye Foundation/French Heritage Society, and The Al Thani Collection. It is organized by The Metropolitan Museum of Art and the Palace of Versailles. Through paintings and portraits, furniture, tapestries, carpets, costumes and uniforms, porcelain, gold boxes, sculpture, arms and armor, engravings, and guidebooks, the exhibition will illustrate what the visitors encountered at court, what kind of welcome and access to the palace they received, and, most importantly, what they saw and what impressions, gifts, and souvenirs they took home with them. 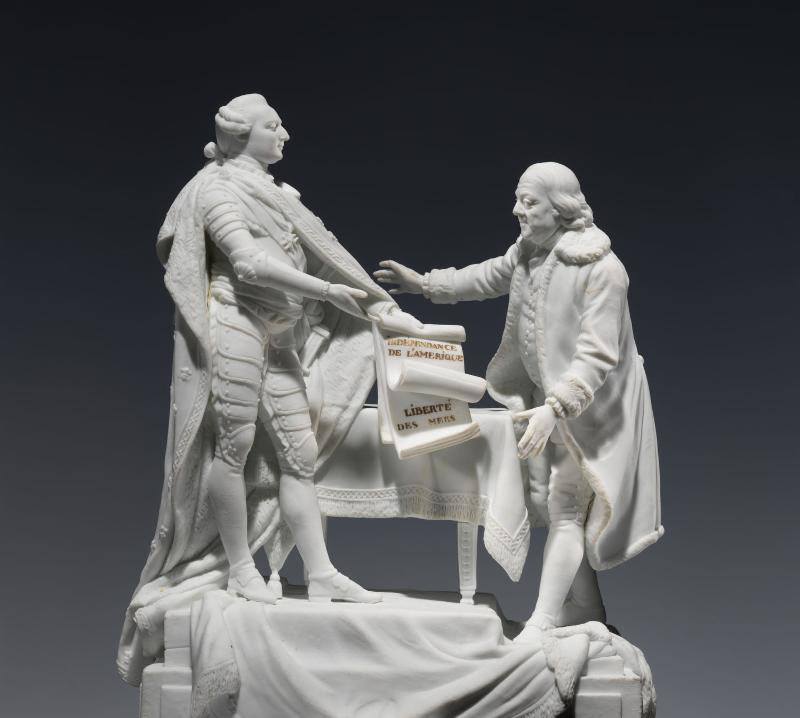 Visitors to Versailles (1682–1789) is organized by Daniëlle Kisluk-Grosheide, the Henry R. Kravis Curator in the Department of European Sculpture and Decorative Arts at The Met, and Bertrand Rondot, conservateur en chef, Château de Versailles. Design is by The Met Design Department. Design direction is provided by Emile Molin and Brian Butterfield. Exhibition design is by Alejandro Stein; graphic design is by Ria Roberts and Frank Mondragon, with support from Tal Pritzker; lighting design is by Clint Ross Coller; and production is by Maanik Chauhan and David Stith. The exhibition is accompanied by a catalogue published by The Metropolitan Museum of Art and distributed by Yale University Press. The book will be available for purchase in The Met Store (hardcover, $65). The catalogue is made possible by the Diane W. and James E. Burke Fund and The Andrew W. Mellon Foundation. The exhibition will also feature a unique audio experience that will evoke and bring to life what it was like to visit the palace during the ancien régime, when Versailles was the seat of the court. This audio experience is sponsored by Bloomberg Philanthropies. A series of events and performances will complement the exhibition. On April 21 (7 p.m.), the early-music vocal group TENET and the contemporary Metropolis Ensemble will present a program with two world premieres by cellist Timo Andres and musician Caroline Shaw. Opera Lafayette will perform Opera in Versailles on May 3 (7 p.m.). Master chef and food writer Yotam Ottolenghi will create a Versailles-themed menu of dinner and desserts on June 19 and 20 (7 p.m.). The role of the Palace of Versailles in 17th- and 18th-century Europe will be discussed in a Sundayat The Met program on April 22 and a half-day symposium on April 30. The Short Course The Kings of Versailles will take place April 14, 21, and 28 (2 p.m.); registration required. Visitors to Versailles (1682–1789) is currently on view at the Château de Versailles through February 25, 2018. This exhibit is sure to be amazing for those of you like myself who are obsessed with Château de Versailles and all the magic it entails. I hope to attend the press event to bring you many photos of the exhibit as soon as it opens!